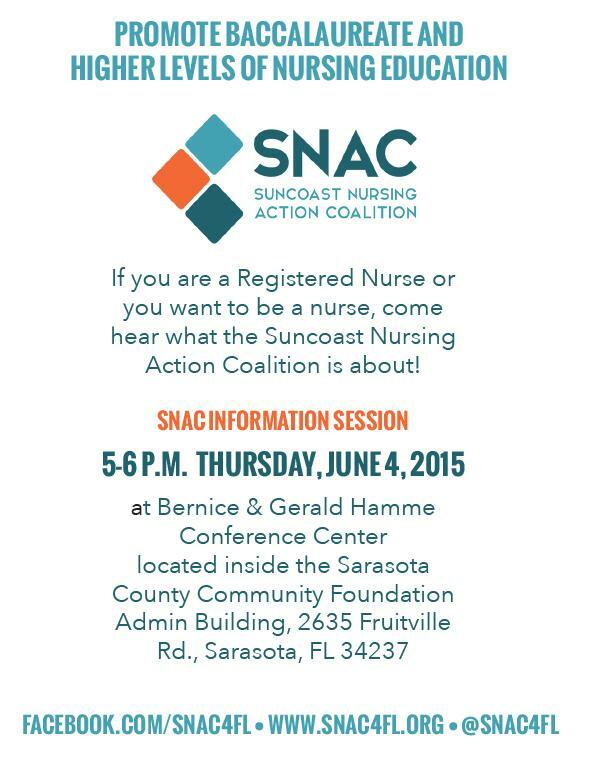 If you are a Registered Nurse or you want to be a nurse, come hear what the Suncoast Nursing Action Coalition is about! 2015 Sapphire Honorees with Florida Blue leaders (left to right): Pat Geraghty, Miranda Hawker, Jason Altmire, Margarita Romo, Ray Casas, Virginia Jacko, Isidoro Quezada, Moody Chisholm, Charlie Joseph and Susan Towler. Professional Development, Networking, Entertainment, Food and Fun! The 2015 Sapphire Awards and Symposium, held on April 22-23 at the Bonaventure Resort and Spa in Weston, Florida, was a great success and we thank all of you who attended this year. We had more than 350 participants in attendance, and based on the post-survey responses, they felt very satisfied with the professional development sessions, speakers, plenaries and the entire experience as we celebrated the 10th anniversary of the Sapphire Awards. The winners of the 2015 Sapphire Awards were announced at the awards ceremony on April 23. The five winning individuals, programs and organizations, selected from more than 164 nominees from across the state, were recognized and awarded for excellence, leadership and innovation in nonprofit community health. The honorees have made a significant, positive impact on health-related outcomes for Florida’s at-risk people and communities. Since 2005, Florida Blue Foundation has presented 60 Sapphire Awards, totaling more than $3.4 million, to nine individuals and 51 programs and organizations from across Florida. By the end of June, we will have vIdeos and profiles of the five honorees and presentations from the speakers posted to the Foundation’s website. We will notify you when they are posted and include links that will take you directly to the presentation of your choice. The NLN Foundation (National League for Nursing) will award scholarships of up to $8,000 to assist in the completion of graduate education in support of the goal of attracting more seasoned and ethnically diverse nurses to become nurse educators. Funds may be used for tuition, support for a dissertation or thesis, or travel for attendance at an onsite internship or classes. An NLN member, either through individual dues or through employment at an educational institution member.